HomePosts Tagged "Learn to Ski Austria vacation"
Best Beginner Skiing in Austria – learn to ski with the Austrian expert since 1967. The Sportwelt Ski Mountains in the Austrian Alps are the spot. When you are learning to ski, there is no better place to start than at Siegi Tours and the Ski Resort Sportwelt in Salzburg. Great slopes and wonderful hills are waiting for you . And it does not matter whether it is your first time on the slopes, or your first attempt at snowboarding or park jumps. This is a resort with designated learning areas for all ages. It is also a very family friendly area. The Austrian Mountain Experience – learn to ski in the heart of the alps. Because of the location and clientele, the sportwelt is a great place for your first experience of mountain culture. It allows you to enjoy Austrias great snow and gorgeous scenery without the stress of going down a mountain that is too steep and narrow. Novice skiers will feel comfortable exploring because the mountain is full of wide gentle slopes. Once you feel comfortable on your skis or snowboard, take advantage of the beginner trails in the sportwelt. 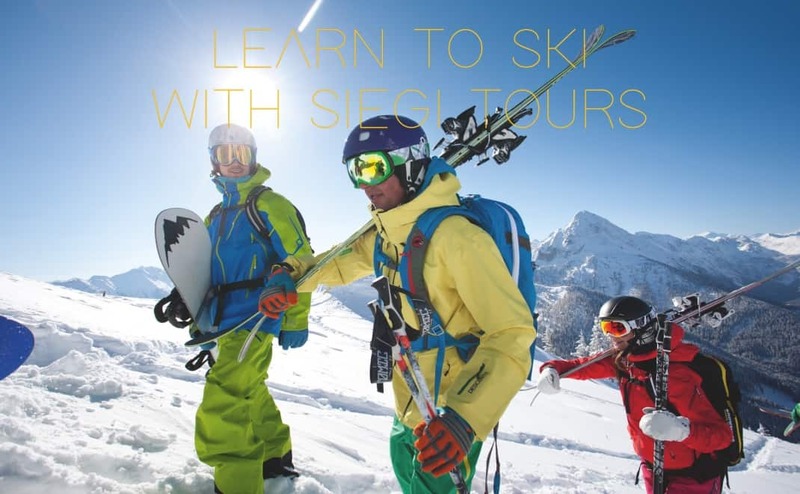 Siegi Tours has specialized in organizing learn to ski, snowboard holidays and is proud to offer its services to an international clientel since 1967. We know exactly what our customers expect and created a special learn to ski holiday adventure with different packages for adults, families, groups and schools.